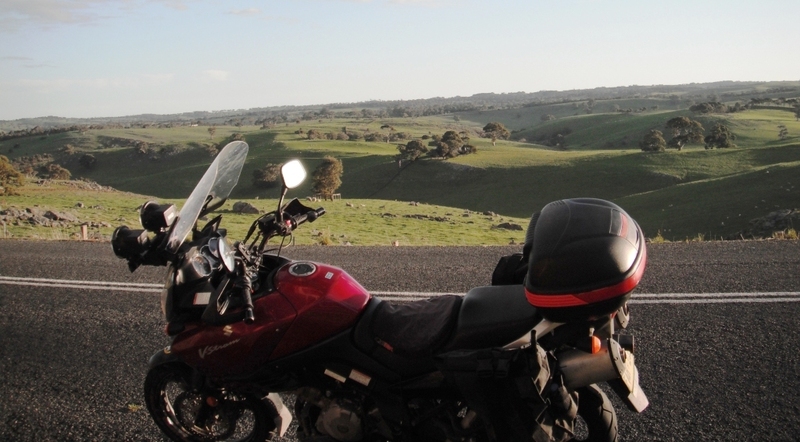 A couple of years ago I moved from New South Wales to South Australia. I commenced a fly in, fly out job and my cruiser was about out of rego so I thought I would change the rego to South Australia. After getting back home I took all the paperwork into Service SA to do just that. It was 2 days out of rego but I thought it would not be a problem. How wrong I was. After arriving at Service SA they said I had to take the bike to the inspection centre. 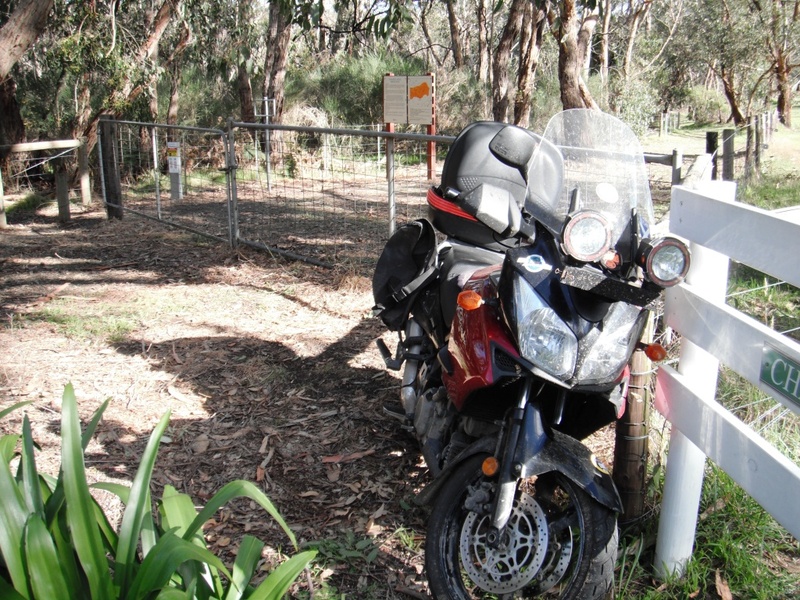 My trailer was still in NSW so the bike stayed in the shed…..for 2 years. 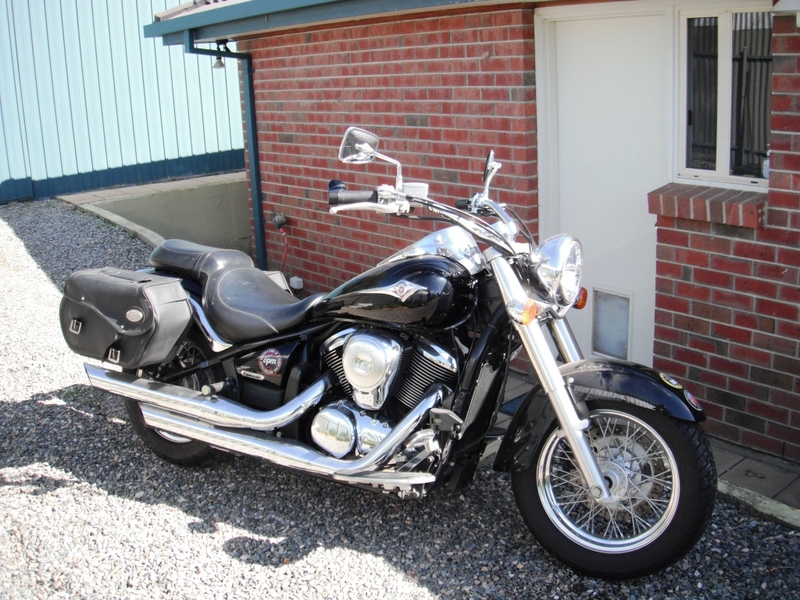 Well After 2 years I thought I may as well sell the bike as I still have the Vstrom. 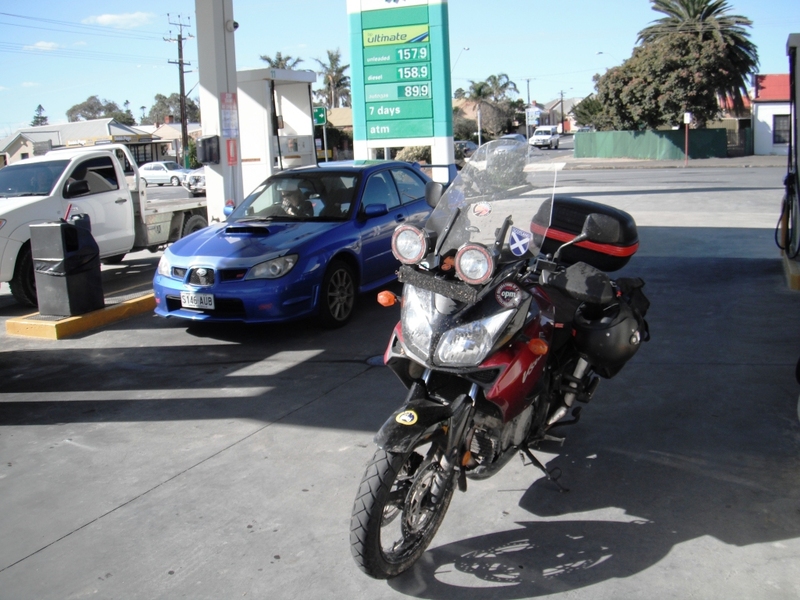 So I purchased a new battery and started the bike up and put it on the trailer and into Adelaide we went. After the inspection I had to then go to Service SA with the extra paperwork and got the new plate with no problems apart from my wallet being a few hundred dollars lighter. Time for a bit of a ride on the cruiser to see what sort of condition it was in. VN900 looks ready to go. Well that was that. It was a non starter and I run the battery flat trying. So I push her back into the shed and set the battery up to charge. Well it was a great day out there and I did not want to waste it. 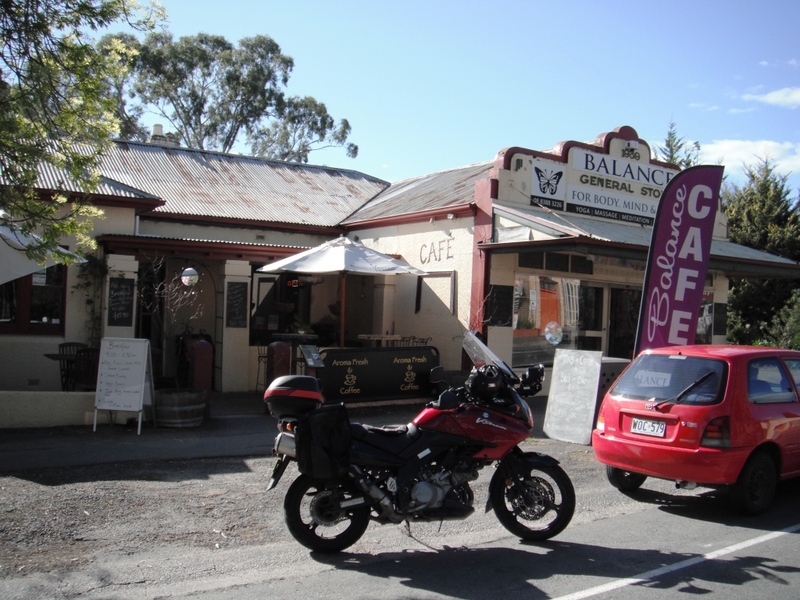 So out comes out faithful, The Vstrom came out of the shed and down to fuel up. Nice looking chick in the car behind the bike. Oh that’s right I married her almost 32 years ago. 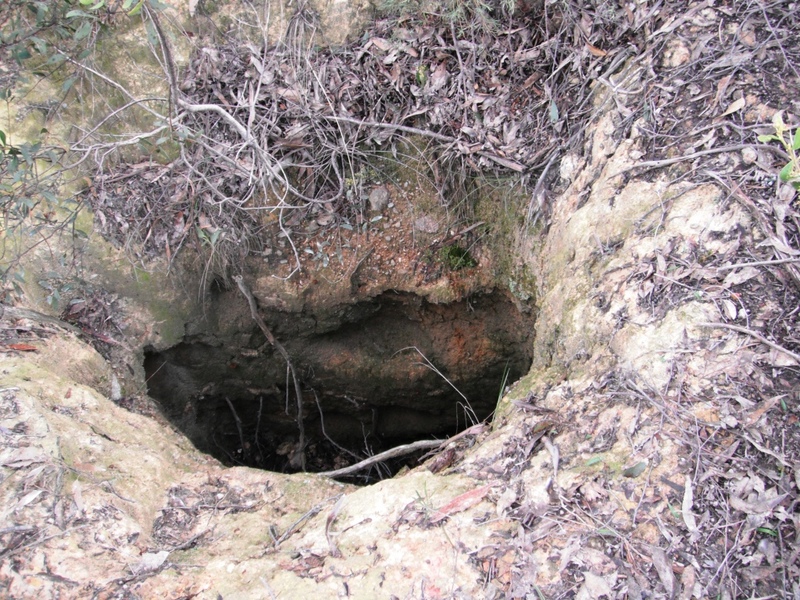 I wanted to check out another prospecting area that is close to Jupiter Creek. So I put some gear in my top box and my detector into the expedition pannier and off to the hills. It was after lunch time and I decided that I had best get something to eat. 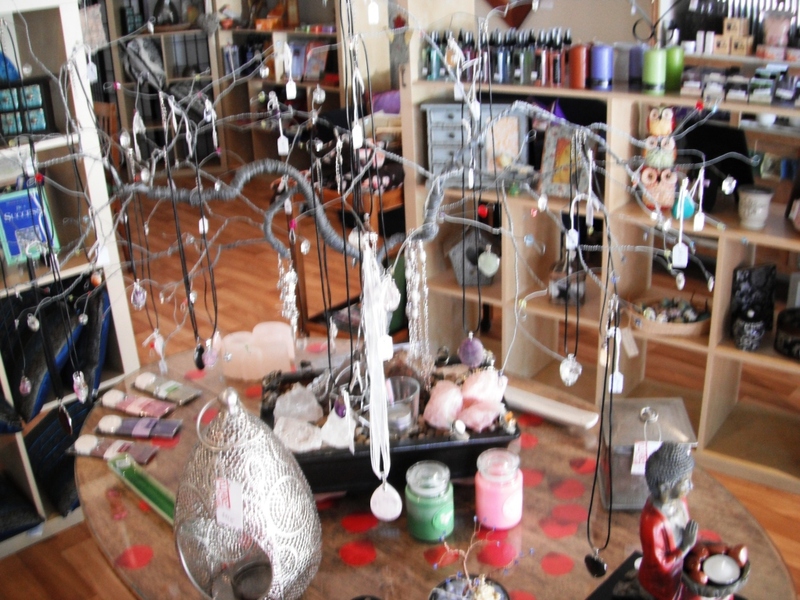 I have often stopped at a cafe in Meadow before which is quite good. 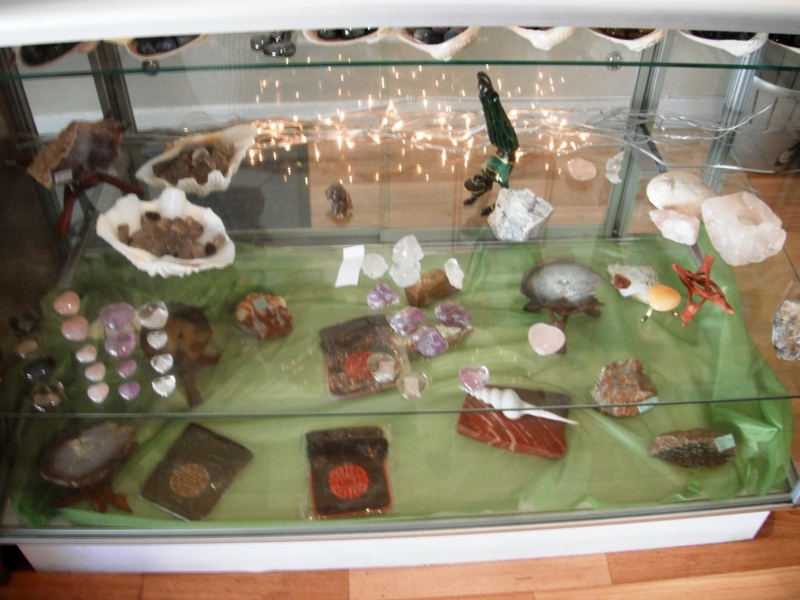 The Cafe has a nice display of gem stones so I had a look at these while I waited for my sandwich and coffee. 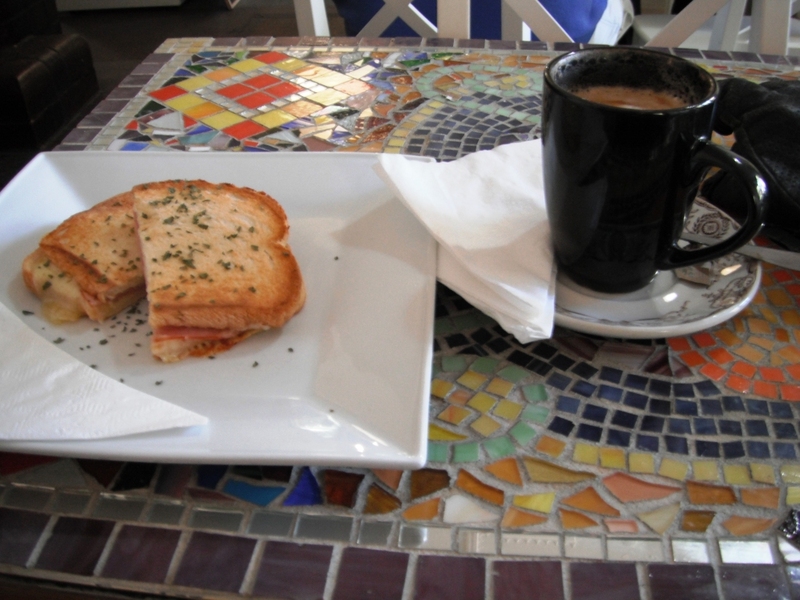 The coffee and toasted ham and cheese sandwich hit the spot. 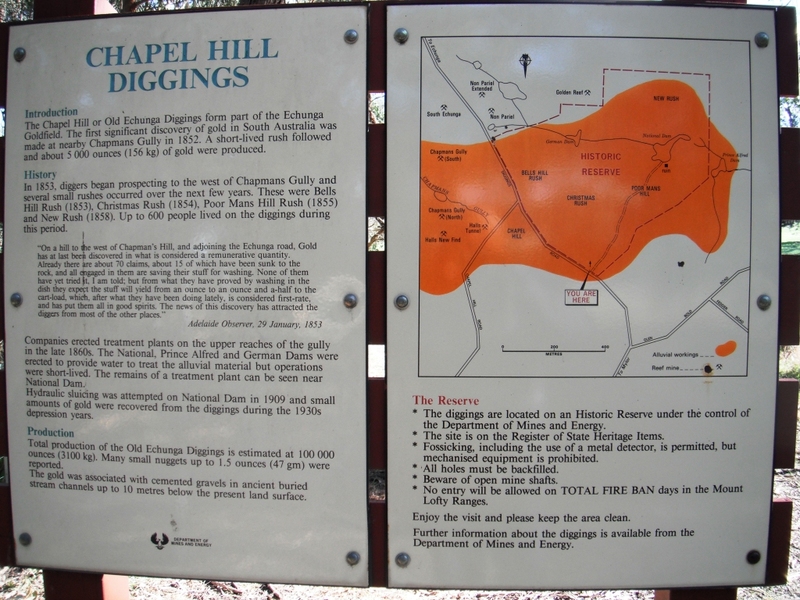 Time to head for Chapel Hill which is not far from Echunga. There has been quite a bit of rain lately and the ground was fairly soft. Not good for a side stand so I thought the fence could do with propping up. Perhaps not the best way to park a bike. But it done the job. After gearing up and safely stowing my riding gear I headed off down the track. 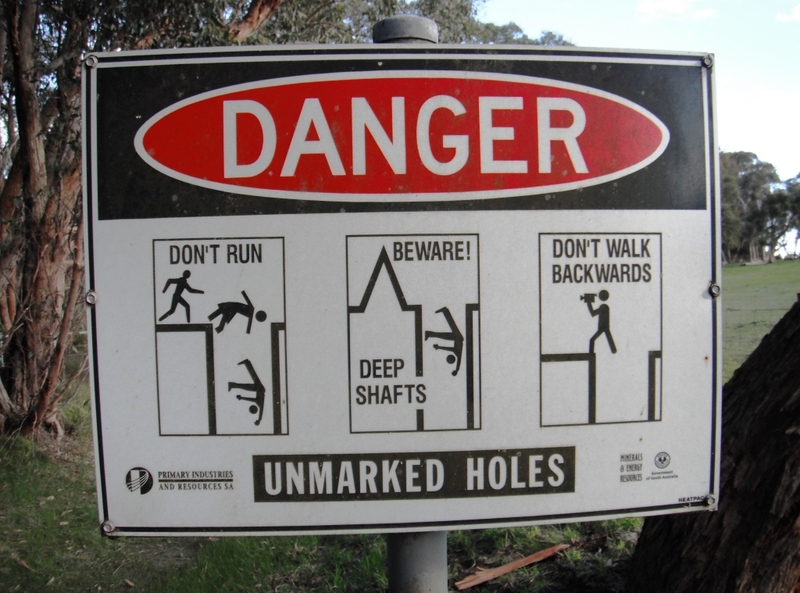 About every 20 metres I would pass by signs warning off mine shafts, and the were several by the side of the track that were guarded. 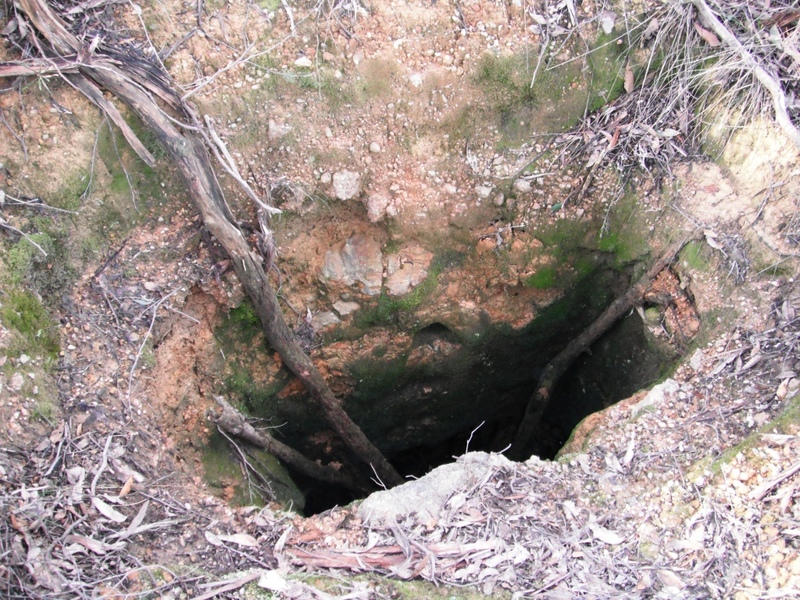 Other shafts were quite exposed and you could understand how people could easily fall in. There were quite a few that had water about 4’ down, but others I just could not see the bottoms of. The photo’s below went down about 8 – 10 feet and then looked to drive off to the side. 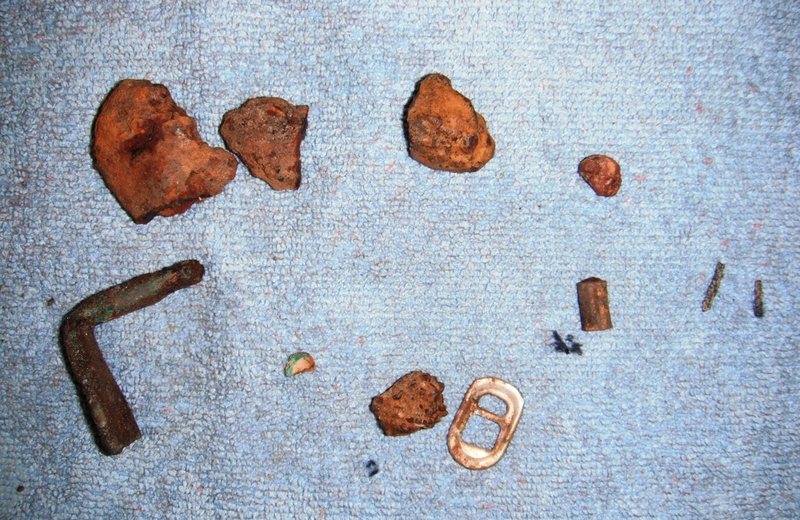 I metal detected for a couple of hours but found only trash and a couple of hot rocks. I made my way back to the bike and stowed my prospecting gear and put my riding gear on and made tracks for home. I made tracks for Strathalbyn. It’s a nice town but the road leading there is great for riding. The sun was starting to get lower on the horizon and the green grassy hills to the south were to much to pass by without a photo. Looking good after a few steady rains. So what started out as a bit of a disappointing day turned out pretty okay. I returned home while there was still light and locked my Vstrom away until I have the chance of another ride. I took the VN900 off the charger and would tackle it in the morning. I hope she is more accommodating then. My spoils for the day.